As some of you are already aware, we were recently broken into, just as Shaun was packed and preparing to depart the UK. The thief made off with Shaun's carry-on luggage containing his tablet and several mobile phones. 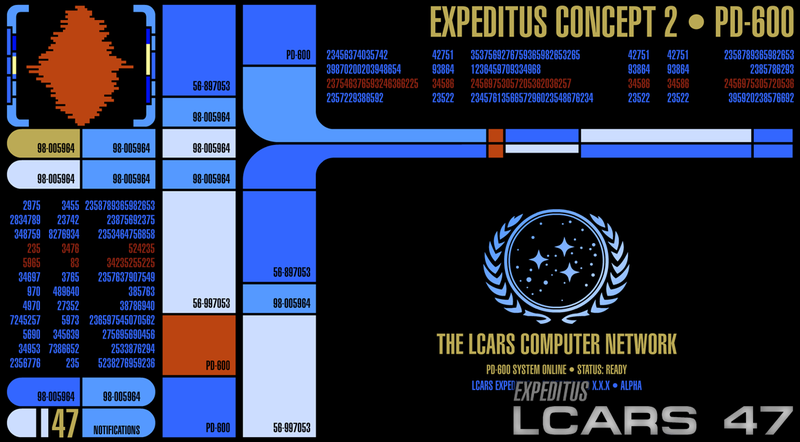 As such, we're having to put Expeditus (LCARS 47 for Android) on hold for a while while we replace the stolen assets. I would like to apologize for the upset this may cause (we're pretty beat up about it too). I'd also like to take this opportunity to commend our local police force, the South Yorkshire Police, for their rapid response and deployment post break-in. And although, we have not been successful in recovering the stolen hardware, we thank them for their time and effort.